I was first introduced to Grand Lucayan two years ago while our cruise ship was in port at Freeport Bahamas. 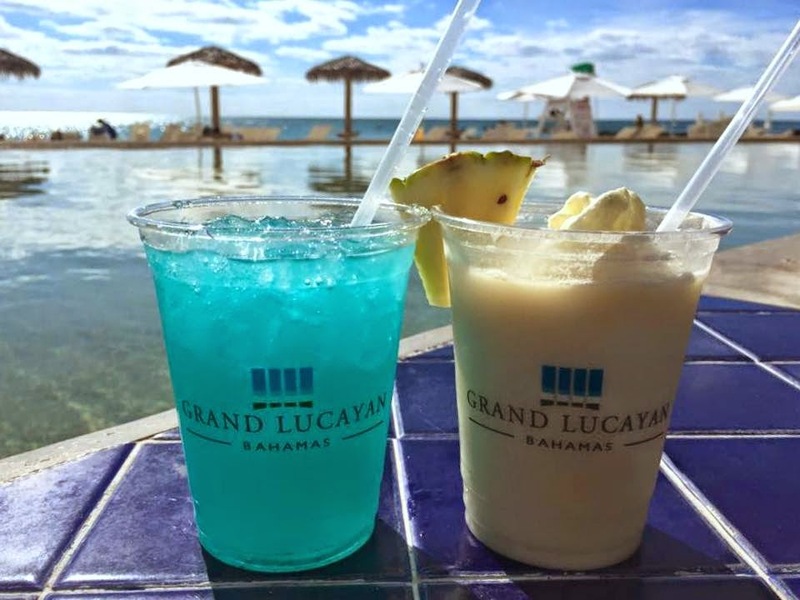 When Keri and I picked the itinerary of our post marathon cruise and saw Freeport was on the agenda, we both instantly agreed a return trip to Grand Lucayan was in store for us. Grand Lucayan is a 15 minute cab ride when you get off your cruise ship. There are plenty of taxi's to take you to the resort and they charge $10 a person, round trip. 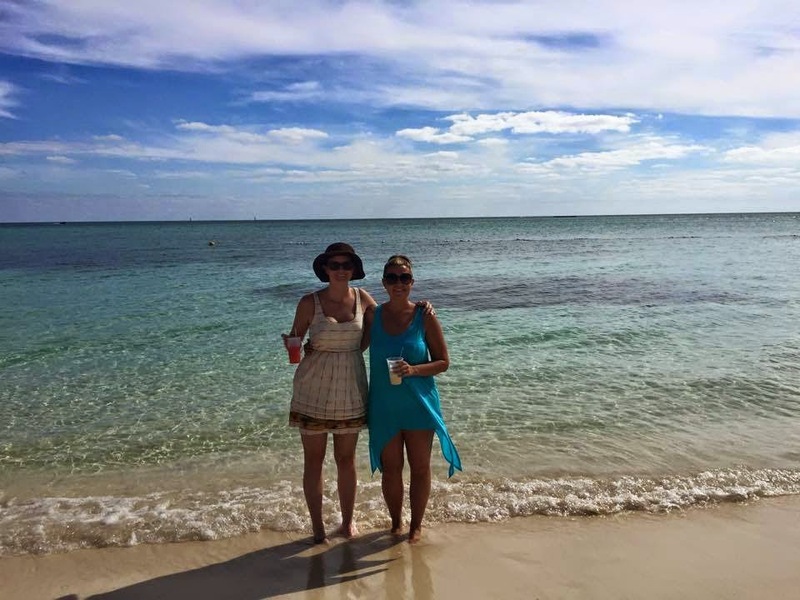 Grand Lucayan charges you $15 a day to use their resort and it is well worth every penny. There are a ton of pools to lounge at Grand Lucayan along with white sand beaches. Make sure you bring a towel because there is a towel fee to use one of theirs. The first thing we did was grab a cocktail and head to the poolside bar. That's when "it's a small world" happened. We were laying on our beach chairs, reading our gossip magazines and there was a group of 6 women next to us. I heard one of them say "Daytona Beach" and we instantly asked if they were from Daytona. One of the six lived there while the others had relatives residing in the area. We chatted for about 10 minutes and the conversation turned to a family friend. From there, we realized that one of them (Terri) is a friend of my Mom's and used to work with her. In fact, she was with my Mom the day she announced to her office that she was pregnant with me. They were on a girls cruise as well and happened to be on our ship! We spent quite a bit of time with them over the following days gambling and drinking cocktails. You never know who will be on your cruise ship! After we took a million photos of the beach, Keri and I decided to go grab a bite to eat. During our last cruise to Freeport, we Billy Joe's Fish Fry was right outside of the gates. It was one of the best meals Keri and I have had in the islands. Our return visit didn't let us down - we split the platter ($25) plus two very strong drinks. Our lunch set us back around $50 after tip. 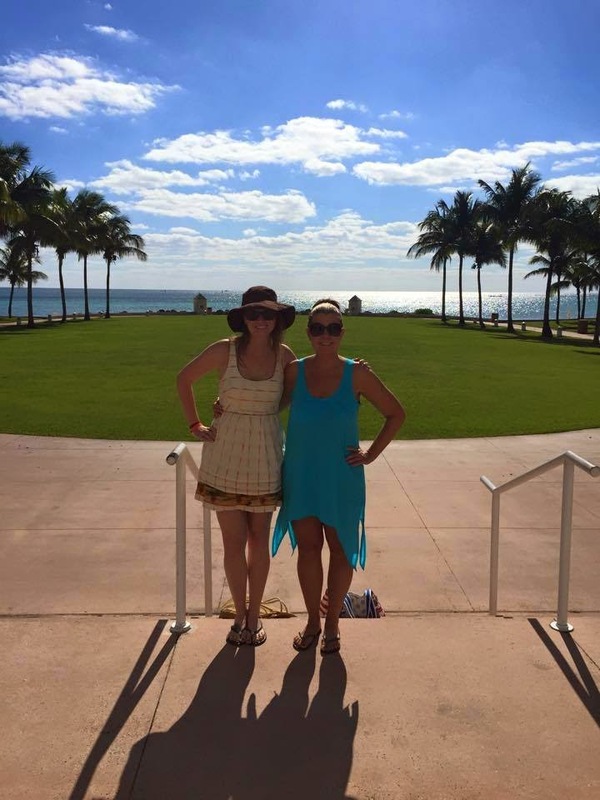 With full bellies and strong drinks, Keri and I headed back to check out the resort. This place is massive. On almost every angle, you will find coconut palms. Both visits there, we have had a very relaxed time with no crowds. It's truly the definition of the Bahamian culture. 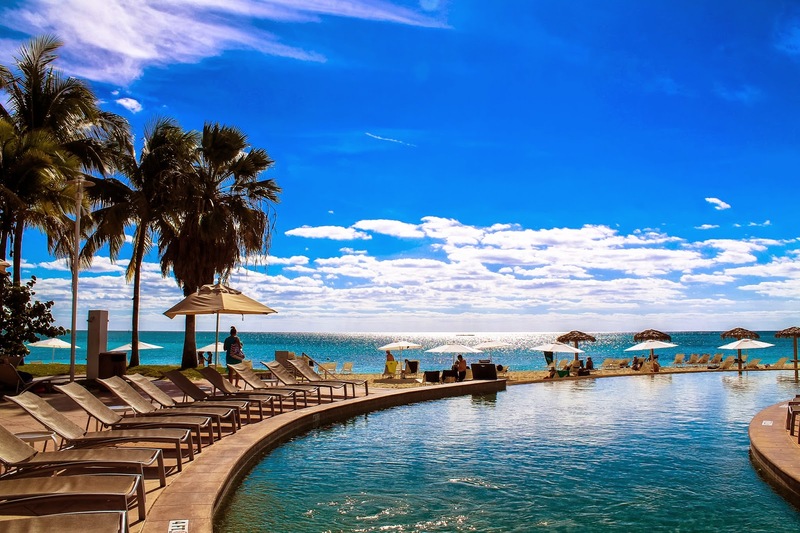 They have an amazing fitness center, spa, plenty of dining options and a casino. OMG I'm so jealous. I LOVE cruising and wish we lived near a port!